Word has spread rapidly of Jessica Ridgeway’s disappearance across Colorado and the nation. The 10-year-old girl went missing on Friday, October 5th when she was walking to meet her friends on the way to school. An active amber alert has been issued about the girl with no lead on any suspects. The only lead in this case so far is the backpack that was found with Ridgeway’s name in it. Officials have not told what was found in the backpack, but the evidence has not gotten officials or any of the 800 volunteers closer to the girl. There has been a custody battle over Ridgeway between her father who lives in Missouri and her mother in West Minster, Colorado. According to foxnews.com, ” investigators have since ruled out any connection to this custody hearing.” After searching family members, friends, investigators have continued their search in Westminster and Superior. They have been left stumped. If you have any information that could help, please use theÂ police tip line at (303) 658-4336 or e-mailÂ pdamberalert@cityofwestminster.us . CTV’s entertainment reporter Melanie Rose interviews the TriMedia Film Festival’s Nick Turner and Carol Van Natta. Carol Van Natta is the President of Horsetooth Productions. Her and Francie Glycenfer are the co-directors of the festival. After teaching acting and film classesÂ in Fort Collins, she and Glycenfer started the Fort Collins TriMedia Film Festival. Seven years later, Van Natta talks about the growth of the festival under her direction. Nick Turner has a performing arts school, La De Da. This year he is heading up the emerging talent section at the festival as well as premiering a full length play he directed called The Other Women. Tragedy in Colorado Springs rises. According to Fox, a man has died after accidentally shooting himself. His fiance was woken in another room by the sound of the gunshot and called the paramedics to tend to the 38-year-old man at 3 a.m.
Also in the Springs, a woman was reportedly kidnapped. The Denver Post reports that a witnesses saw a woman beaten and thrown into the back of a pickup in theÂ 1100 Block of West Colorado Avenue.Â Police are still searching for the woman and the two men that were reported to have taken her.Â Anyone with information on the incident is asked to call the substation at 444-7000. Colorado is a swing state in this year’s election attracting attention from both presidential candidates. After President Obama’s visit a few weeks ago, it’s now the Republican Party’s turn to try and sway. Vice presidential candidate Paul Ryan is in Colorado today to campaign in hopes of winning over some voters. His first stop is in Fort Collins at Walker Manufacturing where a rally is being held. Later this evening he will be speaking in America the Beautiful Park in Colorado Springs. After negative responses to Romney’s comment on the “47 percent“, his visits are under even more pressure now. After Colorado he will stop in Ohio and Virginia where he is expected to speak Â more on his economic plans. This swing state run will be hugely influential with the first presidential debate on Wednesday, October 3rd. Keep an eye on the Colorado-Ins blog for updates. Entertainment reporter Melanie Rose interviews some TriMedia Film Festival participants on CTV’s Colorado-Ins. This was a two part interview. The first interview was with two of Stella Luce’s band members Alana Rolfe and Brett Schreiber. Stella Luce is a local band that performed at the festival this year. Interviewed with these two was Tomas Herrera, director of music videos for Stella Luce. The second interview was withÂ SpokesBUZZ Fort Collins board president Dani Grant and Julie Sutter who is also working with SpokesBUZZ and the festival. Watch the interviews to find out details about the festival and how it’s expanding this year! [youtube]http://www.youtube.com/watch?v=hfyuSPA7bjM[/youtube][youtube]http://youtu.be/hfyuSPA7bjM[/youtube]On this week’s Colorado Ins, Michael McNulty interviews Rocky Mountain Collegian reporter Andrew Carrera. Carrera broke the RamRide accident that occurred Saturday evening in Fort Collins. Michael also spoke with organizer’s of Fort Collin’s first Park(ing) day. Sophie Vukovich joined Michael on desk to check out fun festivities to attend during the fall, including a haunted corn maze. As of September 22nd, we have officially entered the fall season. The clock is ticking and we now only have 89 more days to celebrate all things autumn. I, like many other CSU students, claim the dominance of Fort Collins over, well the world really, and yet upon my search for fall-specific activities I learned that there is so much about this city that I donâ€™t know. And what I learned made it even more awesome. There are a handful of farms with mazes, pumpkin patches, and hayrides throughout the city this time of year. Some of these farms offer even more attractions.Â If the fall season brings excitement through fear for you, Fear @ the Farm is where you want to be. This new attraction atÂ Something From the FarmÂ is starting September 28th. This fear includes a haunted maze and haunted hayride. Though I dare not underestimate the gripping fear within and around hayrides, this mayÂ fallÂ into the â€˜family-oriented category.â€™ Along with the previously mentioned attractions, there is Outlawz BBQ on the weekends. Sounds delishiz. For a more detailed schedule clickÂ here. Harvest Farm Fall FestivalÂ adds even more fun attractions to the usual pumpkin patch and corn maze by including a petting zoo, corn cannons, pumpkin smash, roping steers, and many more. I donâ€™t care how old you are, these things are fun. They also offer full service concession areas. ClickÂ hereÂ for more dates and other information. Â The Northern Colorado Corn MazeÂ Â similarly offers the maze, patch, and petting zoo but includes many other unique attractions. The giant catapult, corn chuckers, inflatable castles, and pedal car race are just a few. However to any respectably pinterest addict, it is their seasonal decoration attraction that is most unique. If you are looking to decorate your home with the season and have a good time while doing it, go to this maze. ClickÂ hereÂ for prices and dates. Aside from farms, Fort Collins contributes to the season in Old Town with horse and carriage rides. And as things cool down, there will be an ice skating rink that opens November 9th.Â Gentlemen, if you want a lady to fall for you, these arenâ€™t bad date ideas. If the farms or downtown donâ€™t give you fall fever, theÂ Monster BashÂ is what you need. Sunday, October 28th will be a night of live music, dancing, and costume contests. And if thatâ€™s not enough, an entrance fee of $25 includes two free beers and a free late night buffet. â€˜Freeâ€™ is used loosely here but either way, need I say more? 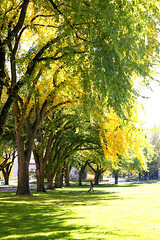 Happy autumn, Fort Collins!Â Comment and let us Â know what your favorite fall festivities or activities are! Tune in to CTV11 Tuesday, September 25th for more fun fall information. 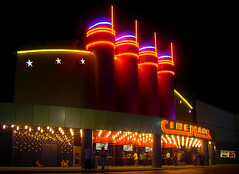 Both Cinemark representatives and attorneyÂ Christina HabasÂ decline opportunity to comment so far, according to EW.com. Despite these suits, the theater still plans to reopen by the beginning of 2013. Health in Colorado is making the news in many ways. Medical marijuana, obesity, and the “popcorn lung” were all discussed in more detail on tonight’s show. Check out the second episode of Colorad-Ins for more detail.